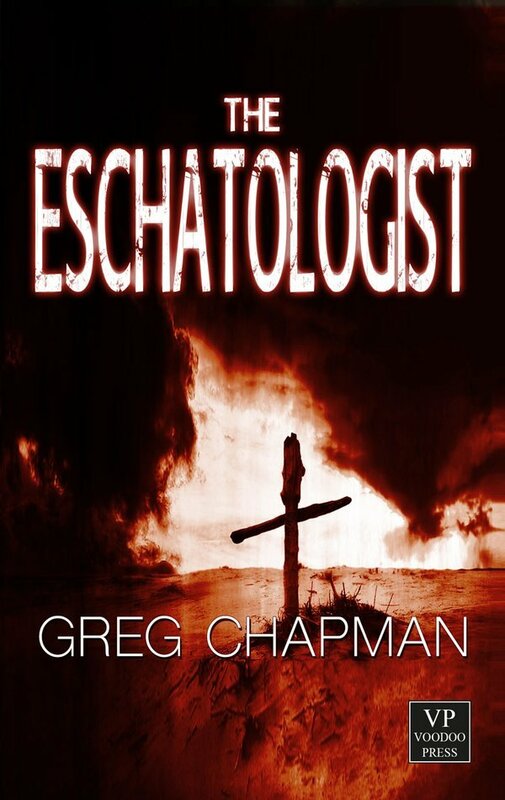 I can finally reveal the cover artwork for my forthcoming novella, The Eschatologist, coming soon from the folks at Voodoo Press. Don’t let the image of the crucifix fool you. This isn’t a preachy story. It has themes of faith sure, but this story will explore just how far people are prepared to go for their faith. Ultimately it’s a story about choices, redemption and a whole lot of blood. David Brewer is trying to keep his family alive in a world torn asunder by a Biblical apocalypse. Yet there is salvation, in the guise of a stranger who offers survivors sanctuary. All they have to do is declare their faith in God’s final – and bloody – plan. Right now the book is being edited and it should be released very soon. There will be a digital version and potentially multiple formats in print, which will include four original illustrations by yours truly. So stay tuned, because the End is Nigh. This entry was posted in Uncategorized and tagged novella, The Eschatologist, Voodoo Press. Bookmark the permalink.